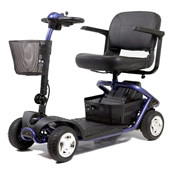 Mobility scooters are becoming more and more popular among mobility-impaired individuals for their versatility and high performance. 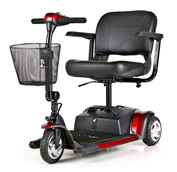 An electric scooter can reach higher top speeds than a power wheelchair, and is the perfect mobility aid for people who travel outside the home for shopping or other errands and need a lift - even if they don't require a power wheelchair for day to day mobility! 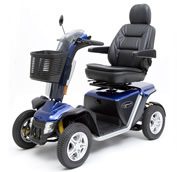 We offer mobility scooters to suit a wide range of users, from scooters suitable for in-home use that are maneuverable and won't scuff up flooring surfaces to heavy duty models that can traverse rough terrain with ease! 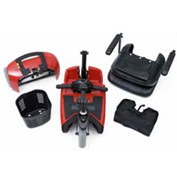 For additional information on how a mobility scooter can improve your quality of life, or details on any scooter you see advertised here, please don't hesitate to contact our product specialists at your convenience! Free Shipping & Free Batteries!